Shemsoo Parasol - take a break in the shade! Take a break in the shade! Let SHEMSOO S protect you from the sun’s rays this summer. 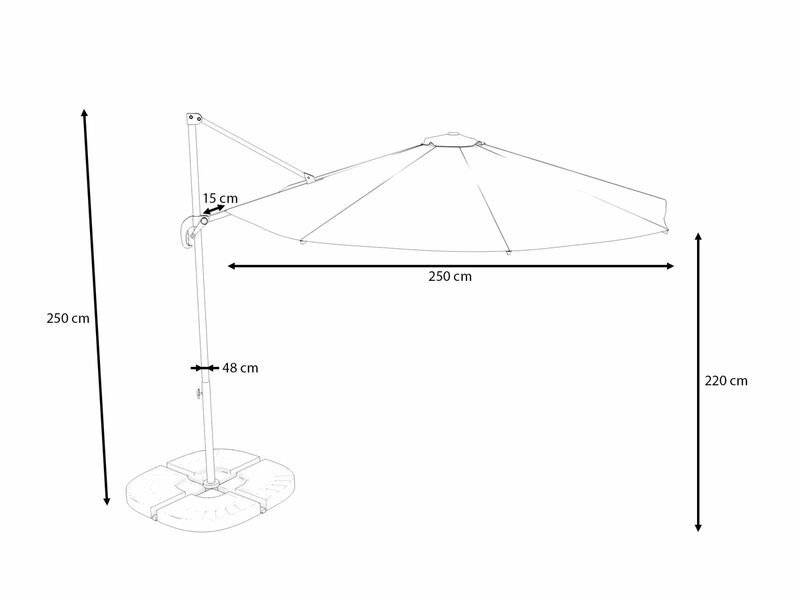 The design of the umbrella is not only stylish, it’s practical too. You can adjust the height according to your needs! On a hot summer’s day there’s nothing better than relaxing on one of our rattan garden furniture sets, underneath SHEMSOO S.